Complete schematic will follow when working. 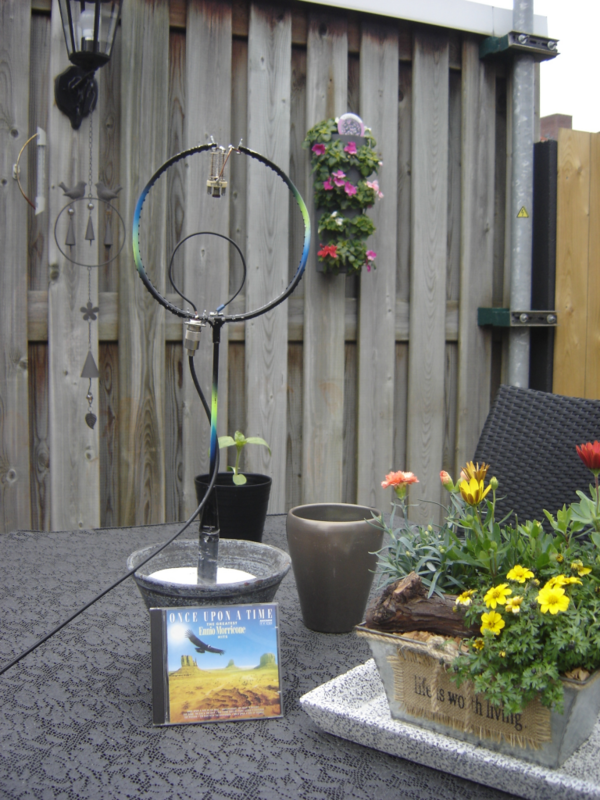 I came with the idea to make a loop antenna for the FM band, from a simple aluminium tennis racket, we want to trow it away . But it turned out to be just the right size for a loop . This one works perfect on 104.6Mhz . You can hide this one evrywhere for your local work. Watch out with power on this, playing with 5W a few hours you will feel in your head. I have tested a IRF510 mosfet as amp. in a shortwave TX. TX is with a X-tal oscillator a driver the IRF510 and a NPN transistor as series modulator in the supply. 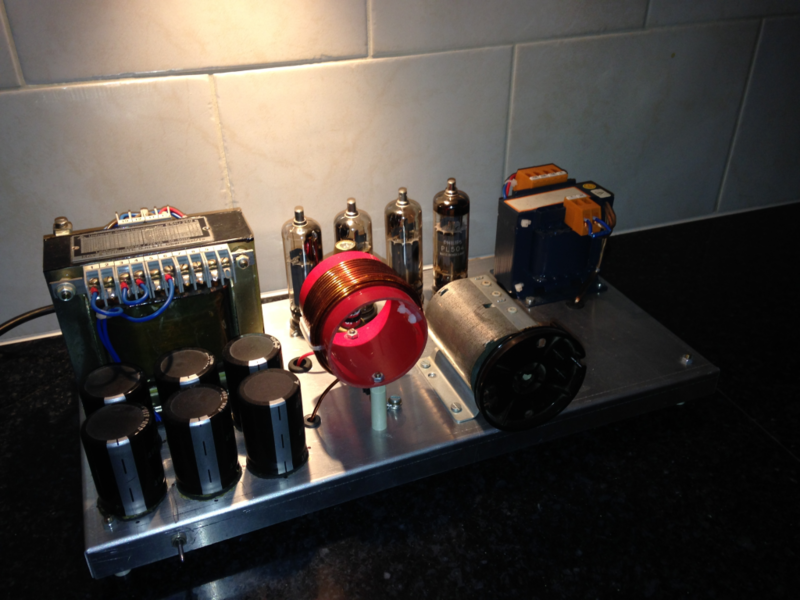 The TX works perfect, is was tested on 5.8Mhz and 6.4Mhz . The max power with 24volts was 30watts and more is possible if you make it 28volts. Higher voltage than there wil be more heat in your series modulator (to mutch ) and there is no need. With 30w on peak only using 5w carrier for a strong AM modulation. You will notice the difference on the audio pressure between 10 - 5w. When testing on the antenna i made repports all over Europe with only 5Watts. From the Netherlands to UK , Finland, Germany and Italy in the evening hours. I must admit there where some nice conditions in the E-layers otherwise it,s simply not possible. But it gives me nice feeling to get there with sutch a small TX .